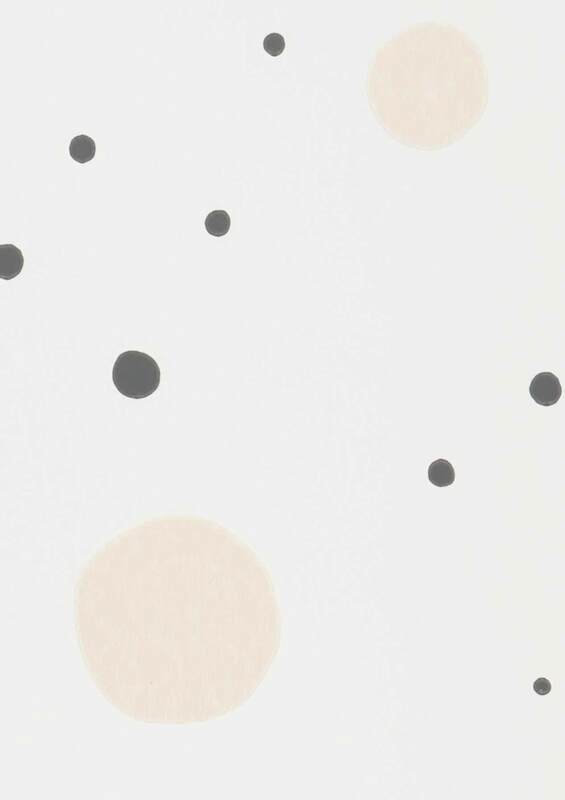 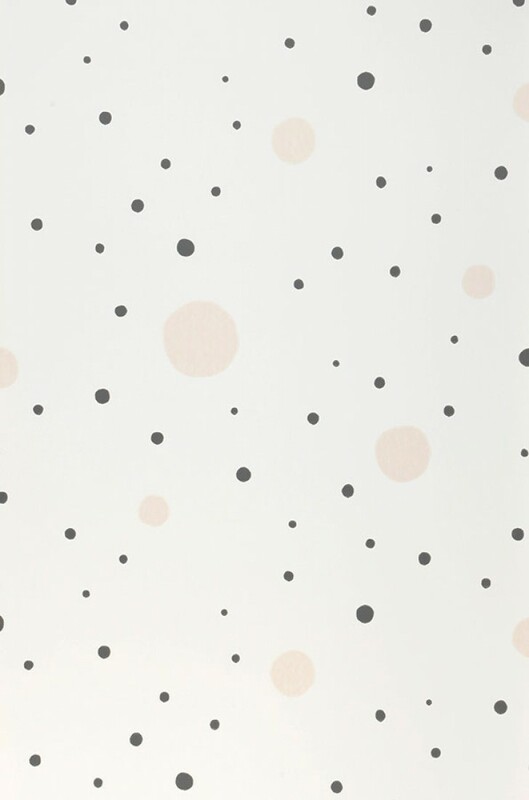 Polka dots in various sizes in subtle anthracite grey and pale beige are dotted around the cream-white background. 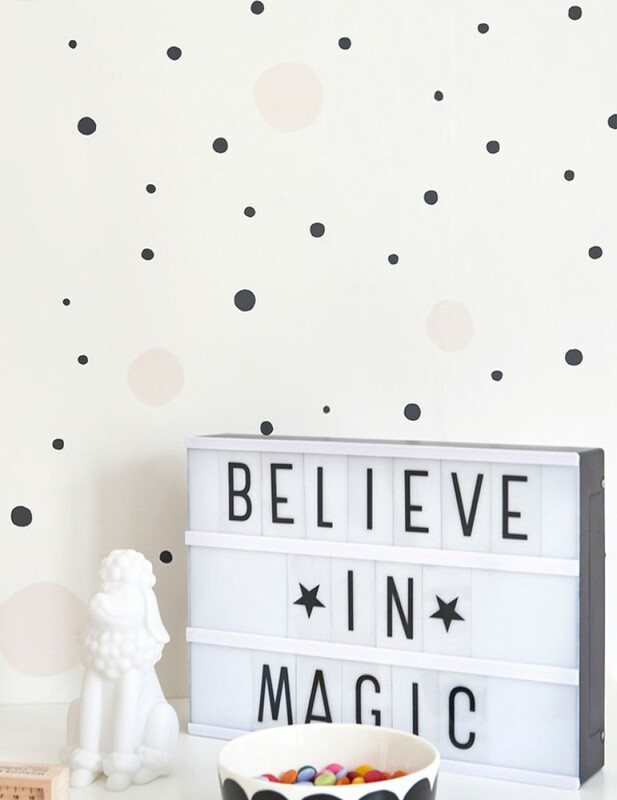 This kids' wallpaper by Majvillan oozes self-confidence and is perfect for all small (or big!) girls who know exactly what they want.